A military wedding overlooking Nubble Light in Maine. 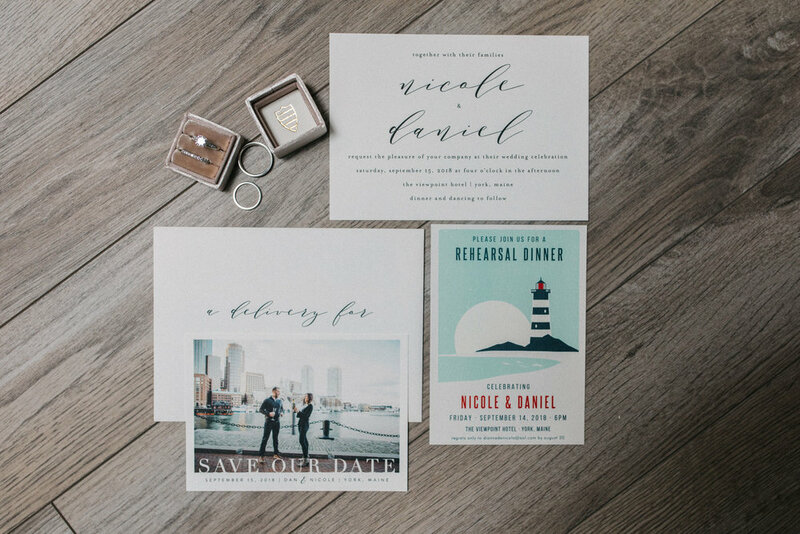 As active duty members of the US Navy, Marissa and Justin blended family, food and festivity into a reverent but lighthearted cocktail party style wedding overlooking the famed Nubble Lighthouse in York Maine. Photos by Trenholm Photo. To encourage movement and provide a casual vibe, vignettes of lounge furniture, food stations and cocktail tables spilled out onto the the lawn beneath strings of cafe lights.